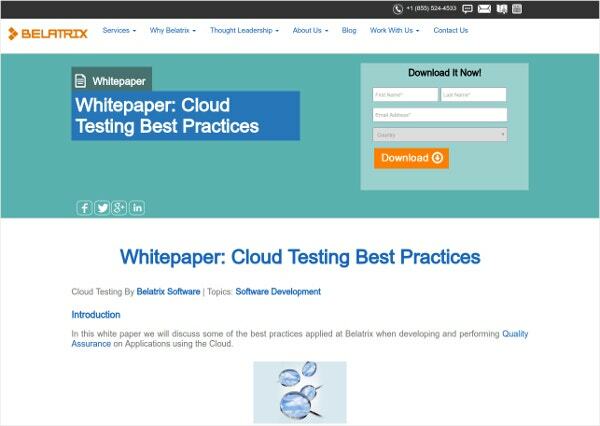 Cloud-based testing tools test web applications which utilize data stored on the cloud. In the era of cloud computing, a large number of web applications, including Instagram and Google Photos, rely on placing large amounts of data on the cloud. You can also see Network Penetration Testing. Cloud-based testing tools ensure that simulated real word traffic is used to test the performance scalability, the redundancy, and other similar cloud functionalities. 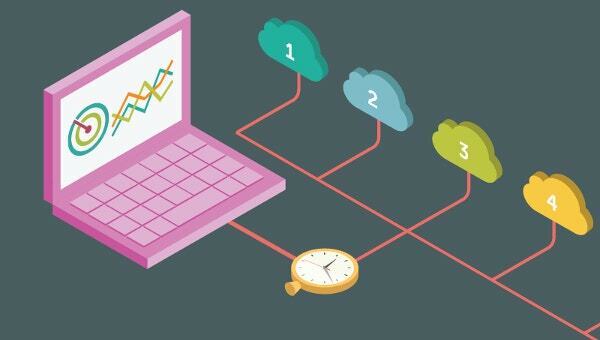 This is a popular testing technique for web applications that require the use of a cloud-based web hosting to save data for use for various durations. You can also see Responsive Testing Tools. 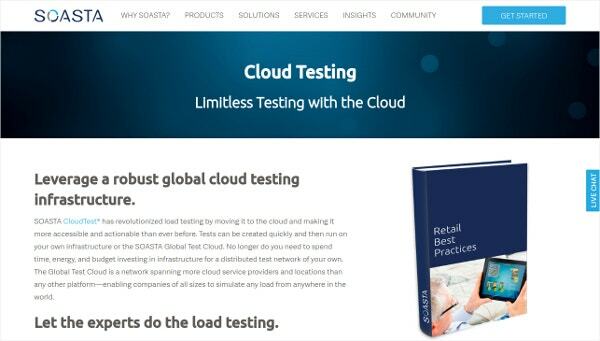 SOASTA Cloud Testing Tool provides a powerful, flexible, and affordable platform for continuous load testing. It creates continuous and flexible tests to provide solid, high-performing mobile and web applications. It also collects every user-experience and analyzes system performance closely, to identify and solve problems quickly. 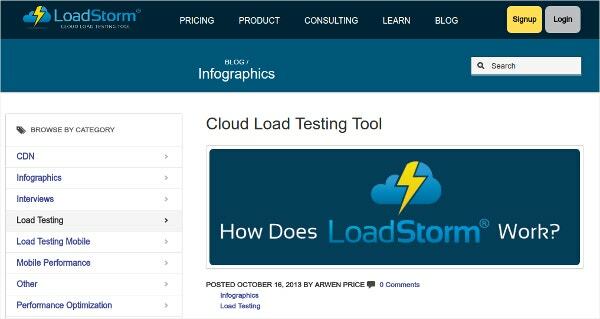 Cloud Load Testing Tool – LoadStorm is an appropriate tool for large scale and enterprise load testing projects. Unlike other load testing tools, which take months for load testing, LoadStorm enables you to set up and run sophisticated load test on the same day. LoadStorm provides advanced reporting which allows enterprises to have a high-level overview and analysis of the application’s performance under load. 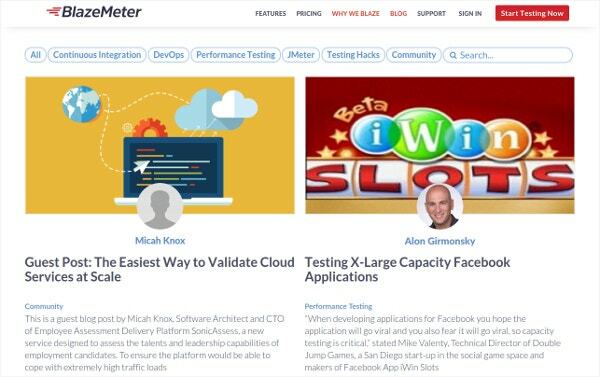 With BlazeMeter – Cloud Testing Tool, you can test the performance of any mobile app, websites, in less than 10 minutes. Through BlazeMeter, you can run larger loads far more easily and quickly than you can with any other load testing tool. 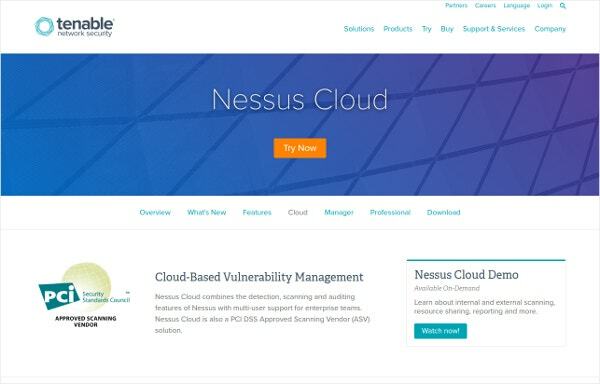 Nessus Cloud Testing Based Vulnerability Management tool combines the powerful detection, scanning, and auditing data with extensive management and collaboration function to reduce your attack surface and eliminate vulnerability blind spots. It also allows you to share multiple scanners, scan schedules, policies, and most importantly, results among multiple users or groups. AppThwack allows you to execute your tests in tandem across hundreds of iOS and Android phones and tablets and get the desired result in minutes. It allows to view the results on web-based dashboards or you can even download it for offline viewing. 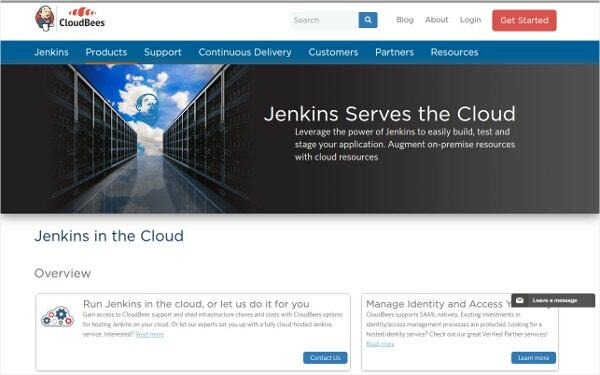 Jenkins Serves the Cloud Testing tool provides a platform that is industry’s most proven, fully featured technological base for implementing contnuous integration and continuous delivery. You will get a reliable, low-cost way to quickly build, run, test, and use distributed applications at any scale. 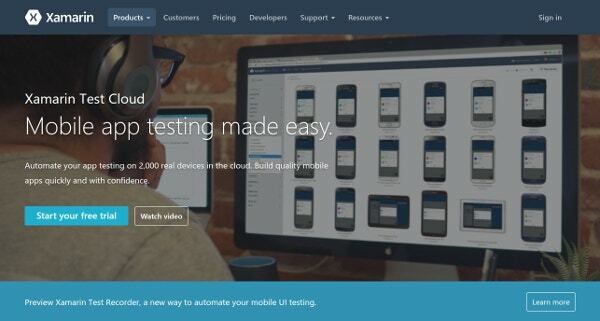 Xamarin Test Cloud Tool is a cloud-based service that provides an automatic way to perform UI Acceptance testing of mobile applications in the cloud, across hundreds of different devices. This enables business enterprises to ensure that their application performs correctly and efficiently, across a variety of devices, without much effort. Belatrix Cloud Testing tool provides an end-to-end solution that transforms the way testing is done and it can also help organizations boost their business by reducing the cost of testing without impacting all the critical production applications. This tool also helps in ensuring that unused servers don’t stay idle for long. 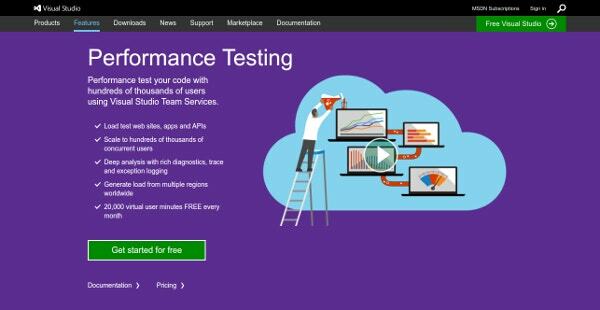 Visual Studio provides a wide range of tools and services for testing the performance of your websites and applications. You can range your tests to hundreds of thousands of users and you can also generate load from multiple regions worldwide. This tool empowers you to understand, analyze and fix performance related issues before they impact your business. 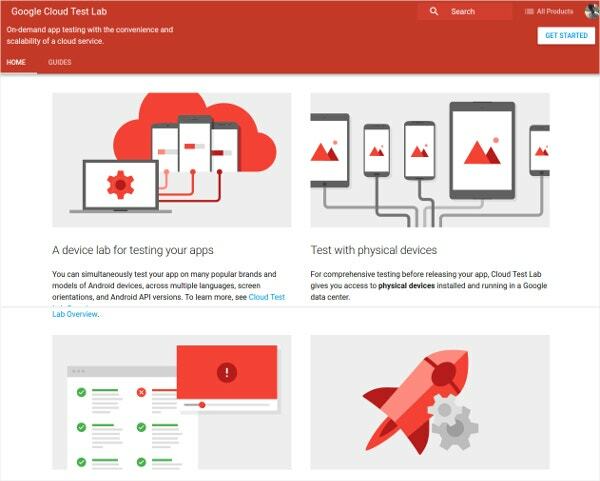 Google Cloud Test Lab runs automated tests in accordance with your app’s targeting criteria on multiple devices. With a single operation, you can initiate testing of an app across a wide variety of devices and device configurations. 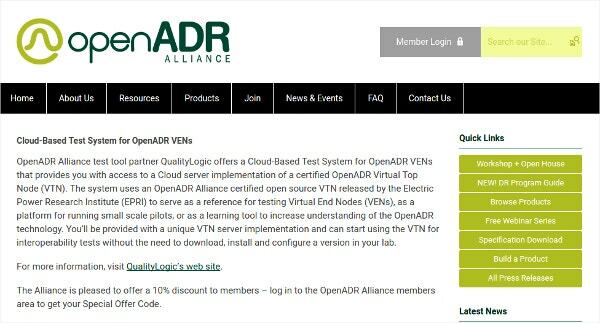 Cloud-Based Test System for OpenADR VENs provides access to a cloud server implementation of a certified Virtual Top Node(VTN). Basically, it provides tools and services for the web and mobile applications, smart grid technologies, telecom networks etc.